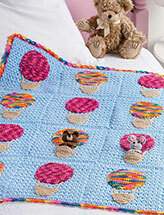 This adorable little baby blanket is perfect for your little one. 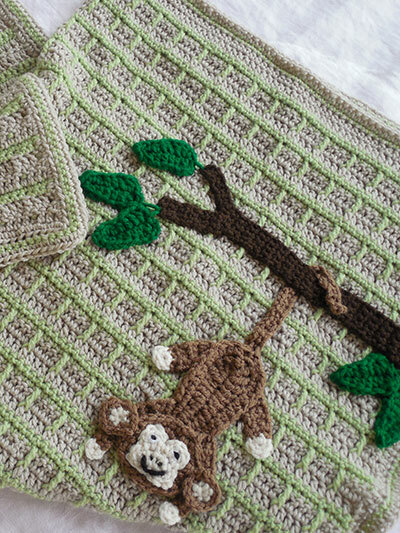 It's a simple pattern that features a sweet and mischievous monkey swinging on a branch. Includes written instructions only. Size: 34" x 34". 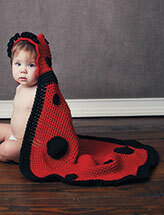 Made with light (DK) and medium (worsted) weight yarn and size G/6/4mm hook.